Belageri, was just a few months old he had been suffering from Jaundice and despite medication, there was no relief. There hasn’t been a single day since that he has not been suffering in pain. His condition has deteriorated his already poor health. While other children his age are learning new words and games, Soufiyan can’t talk or even walk properly. He can barely eat and often cries in pain. His skin has also turned yellow. Soufiyan is too young to understand what is happening to him. His father, Noorahmed, and his mother watch him go through agonizing pain every day. Further investigations at the hospital later diagnosed him with a severe liver disease called Liver Cirrhosis. 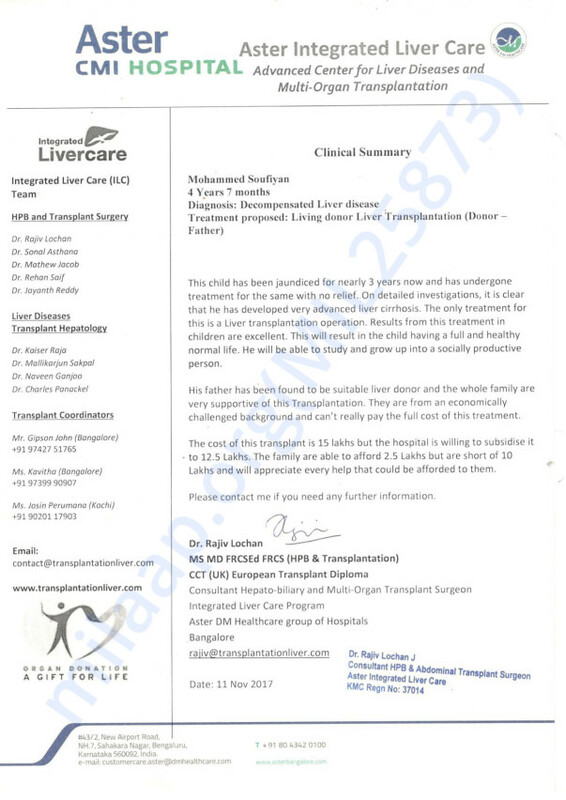 He now needs to undergo a liver transplant as soon as possible as that is the only treatment that can save his life. 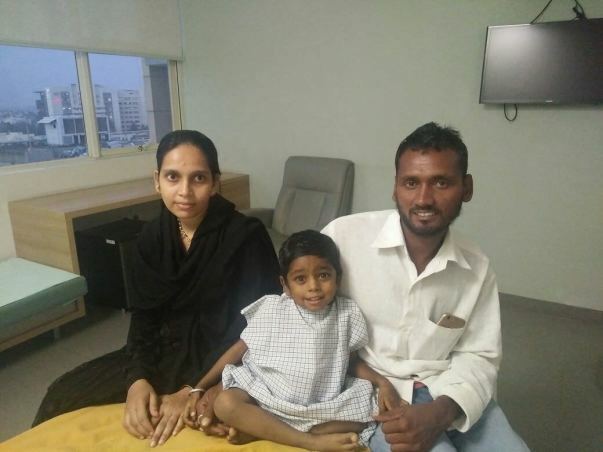 The total cost of treatment is around 12 lakh Rs and Mohammed's parents have already paid 2 lakhs. They have now exhausted all their funds and are worried that without these funds he may lose his son. 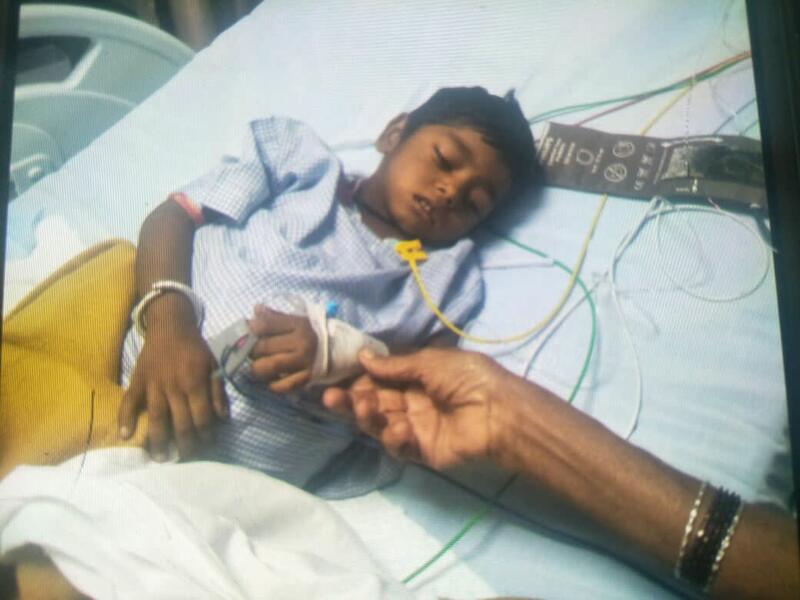 Your contribution can give Mohammed the treatment he deserves. 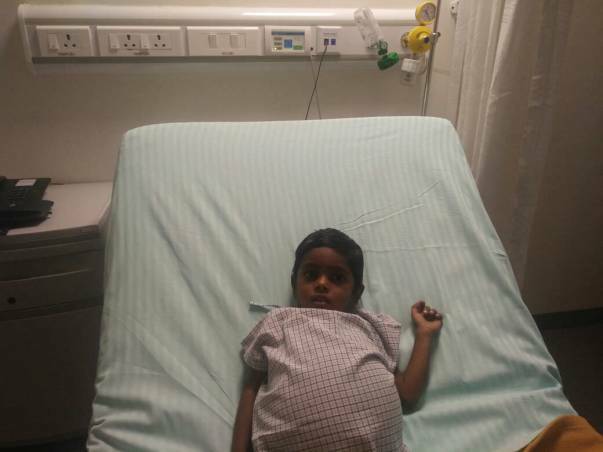 Disclaimer: 100% of funds raised will be transferred towards Mohammed's treatment. Every contribution will be matched to raise funds faster and help little Mohammed. This fundraiser campaign is supported by The Pravin Agarwal Fund. Here is an update for you. Apologies for the delayed update. First of all we would like to thank all of you for your selfless support. The baby underwent the liver transplant during the second week of January. The surgery was successful and there were no major complications post the treatment. His father was the donor for the same. Now, the family is back to their native place and visit the hospital once in a month for the follow-ups. Thank you once again for the love and support. Thank you for this wonderful response. Sufiyan's family is very grateful to all of you. His liver transplant is tentatively scheduled in the 1st week of Jan,2018. His father will be the donor. Thank you for support so far. This child’s ill-health is worsening. He has needed a further admission to a hospital. His INR and Bilirubin are increasing, this is an indication of the worsening state of his liver function. Thankfully he has not caught an infection and continues remain suitable for an urgent liver transplant. 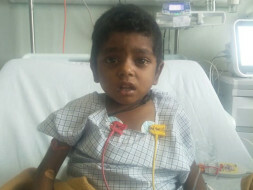 Please continue to support this child so that he can get a liver transplant at the earliest.